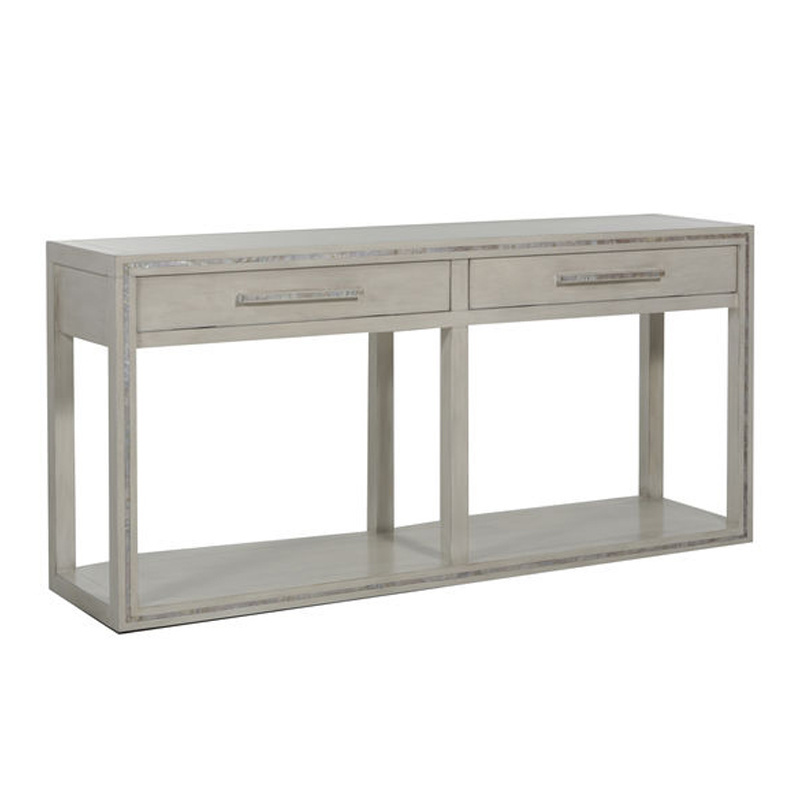 Sleek and sophisticated, the Dara Console Table offers a clean look in a wide 2 drawer case piece that functions as a buffet, media console or entry table. A smooth sesame white finish is brilliantly accented by inlaid mother of pearl surrounding the frame and sparkling on the long drawer pulls. A lower shelf provides display or storage space. Mother of Pearl is a natural material. Differences in color and pattern should be expected and celebrated.